So, you want to remodel your bathroom - but you're not sure what style to pick. Do you lean more toward the traditional? No bells and whistles? 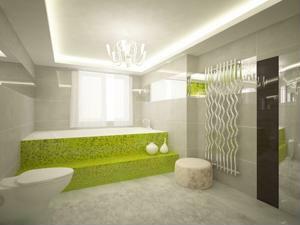 Perhaps, then, you'd prefer a modern or contemporary style bathroom. Or are you the sort of woodsy individual who'd prefer a city apartment that looks more like an upstate cabin? There are about as many bathroom varieties as there are people to use the bathrooms, but only one is going to do it for you. While none of these examples are the pinnacle of your bathroom style, they're certainly excellent places to start! Rustic style takes rural home comforts to heart, with earthy and natural tones spread throughout its design and an emphasis placed on wood. Your rustic bathroom will still feature a porcelain tub, but perhaps with unpainted wood walls or stonework fixtures. Warm lighting and exposed beams can complement this style well. Modern design is all about clean lines and no fuss. While some might find it antiseptic, for others, it's the ideal mix of efficiency and simple aesthetics. Whites and cool blues complement this style, but feel free to get more creative with brighter hues. A vessel sink might be the perfect fit for a space like this. If you have a flair for the historical, this style may be perfect for you. From stylish bathroom faucets to ornately carved mirror , the Victorian style is the polar opposite of modern. More is more in a Victorian bathroom, so layer on stylish wallpaper (try a William Morris or art nouveau print), framed photos and paintings and an elegant freestanding tub - feel free to get creative with the showerhead, too. If there's the opportunity to touch up some drapery, go for thick, red or purple curtains. Similar to Mission style, the American Craftsman style of interior design is iconic for its mixture of handcrafted wood style and clean lines, mixed with touches of the art nouveau movement, particularly in light fixtures. Full of warmth and simple aesthetic design, this may be the perfect medium between modern and rustic. These only make up a few of the wide range of potential styles you can adopt for your bathroom. Mixing and matching, or experimenting with unexpected color combinations (try some eclectic neons paired with Victorian's traditional wainscoting) can yield surprising results. Find the style that feels most like you and go with it.